We're now just a month away from the release of The Alchemy of Chaos. Needless to say, I'm very excited. But it's a little strange this time around. Talking about The Alchemy of Chaos implicitly includes spoilers for The Thorn of Dentonhill. I sometimes feel like I should preface everything with, "Go read that, then come back and we'll talk." I mean, yes, go read that. 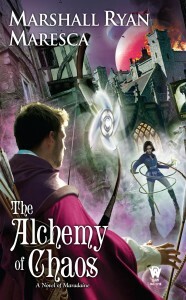 I highly recommend reading The Thorn of Dentonhill before reading The Alchemy of Chaos. Of course, Alchemy, is a complete story in and of itself, just as Thorn was. Both books will each give you a good, ripping adventure. You're not going to feel like you've only read two-fifths of a story. 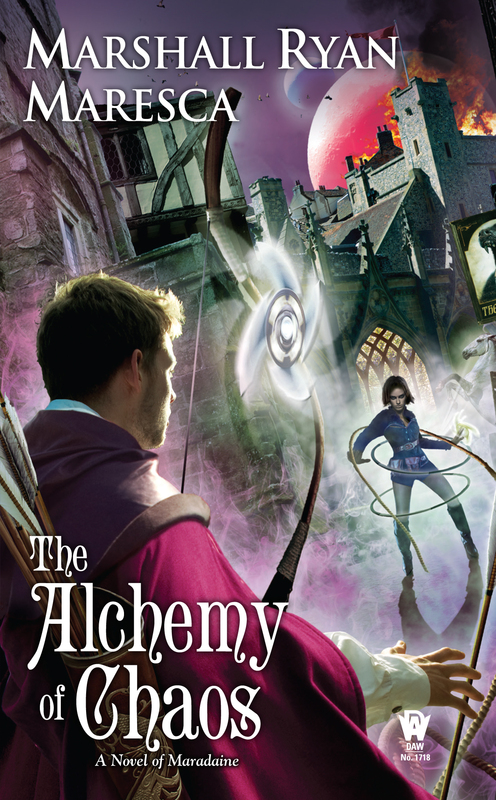 But I deeply hope you're going to read Alchemy and want more adventures in Maradaine. We'll be talking about that in the near future. So what is The Alchemy of Chaos all about? Not convinced to go preorder at Amazon, Barnes & Noble or Indiebound? Or at least head over to its Goodreads Page and it to your Want To Read list? All right, then, how about an excerpt to whet your appetite? The Alchemy of Chaos comes out on February 2nd, and if you're in the Austin area (or close enough to drive), I'll be at Bookpeople that night at 7pm for a reading and signing event.